You’ve probably heard about Microsoft Office 365 already and how hundred thousands of users are already taking advantage of this product. If you’re hesitant to purchase one, read to know how it benefits you and your business. In a nutshell, Microsoft Office 365 incorporates the traditional Microsoft Office with innovative cloud computing with the addition of other features such as Exchange Online, SharePoint Online, and Lync Online. · Accessibility. You can access various features including email, documents, contacts, calendar and more through almost all types of devices with web connection. This may be dependent on the Internet provider or mobile carrier support though. · Compatibility. You can use Microsoft Office 365 along with other programs on your work station. · Business features. These include reliable uptime 99% uptime rate, data recovery, IT phone support, and geographic redundancy for your business. · BPOS. Be one of the millions of business users already using the latest version which is Business Productivity Online Suite. 1. Microsoft Office. It’s the world’s most familiar desktop productivity tool that I’m sure you already know too well. With Microsoft Office 365, Office is now in sync online through cloud services and offers the Office Professional Plus for desktops and Office Web Apps for the Internet. 2. Exchange Online. Your usual apps including email, contacts, and calendar are now in sync with cloud based computing. It also includes up to date anti-spam and antivirus solutions with capability for voice mail, messaging for various platforms, and archiving. 3. SharePoint Online. Also a cloud based service and enables you to create sites which you can customize to interact with customers, clients, and colleagues. With SharePoint Online, you can also engage in social networking activities. 4. Lync Online. With this, a cloud based communication is possible for your business. It offers instant messaging and video conferencing capacity. Microsoft currently has four options available for Microsoft Office 365. Pricing varies depending on number of users, features included, and length of subscription. These changes from time to time so it’s best to browse through the Microsoft website for more up-to-date information. · Productivity. With cloud based Microsoft services, you and your employees can work anytime and anywhere (with web access) directly from their devices (web compatible units), thereby increasing productivity. · Professional Look. Businesses utilizing the Microsoft Office 365 can benefit from a professional look. Your customers can expect that you are serious about your business. · Communication. With Lync Online, everyone within your company and network can easily communicate with each other. Whether it is instant messaging, video conferencing, and email, everyone can easily get in touch with whomever they need to contact. · Ease of Use. Since Microsoft Office is also a familiar tool, transitioning into usage of Microsoft Office 365 won’t be a hassle. The whole system is easy to use. There is no need for an advanced training or IT knowledge to begin using the product. · Safe and Secure. You can rely upon the Microsoft reputation for the safety and security of your files and transactions. · Synchronize. You can synchronize existing tools already in use with the Microsoft Office 365. · Reliable. You can depend on the Microsoft Office 365 with a 99.9% uptime guaranteed. Your business is always up and running. A money back guarantee is even offered if you are not satisfied with the service for any reasons. · Flexibility. The Microsoft Office 365 is flexible enough to accommodate your needs. You can start with the most basic plan and upgrade as your business grown. 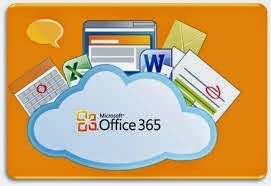 Microsoft Office 365 benefits your business in various ways. You still get the trustworthy Microsoft Office tool and get more with cloud based computing. Thanks for sharing this post. In my former job as a customer support manager in a company in Ortigas, our company used this. And since I was issued a Windows phone, I loved how I can access the important documents I have through one Microsoft account. Yup. It works even for homes and personal use. Thanks for the comment.